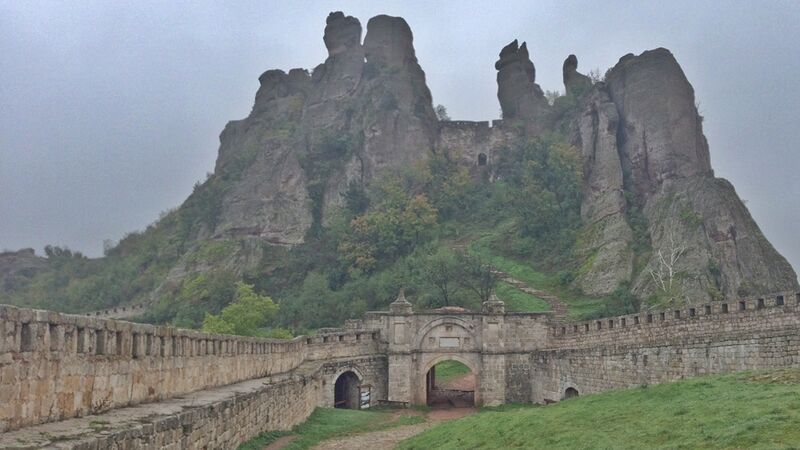 In northwest Bulgaria, by the Belogradchik town, a host of rock figures stand. Their height varies, attaining up to 200 meters. Their colors vary, too, from pure red to yellow. The shapes are diverse, so a plethora of legend stem to account for how they came to be shaped. The rock formations area was declared a phenomenon of nature in 1949. Most rocks are named after people, objects, animals, depending on resemblance. The area where the rocks sprawl has a length of 30 kilometers; its width attains up to 3 kilometers. The total span of the rock phenomenon area is 641.31 hectares. The groups comprising the rocks around the area are several. Throughout centuries steep vertical slopes have been shaped, as erosion, denudation, the growth of mosses and lichens and other natural factors did their work. The onset is believed to have occurred concurrently with the rising of the Balkan mountain. Called the eighth wonder worldwide, or the fairy tale cave, Magurata is a cave immersing people into timeless peace and quiet. Majestic surroundings inspire and awe visitors who come to the cave near the Rabisha village, by the Belogradchik town, in northwest Bulgaria. Nature prides itself on the cave shaped throughout 15 million years. Magurata is among the first caves in the country provided with lighting, paths and safety equipment. It also ranks among the largest caves in Bulgaria, with floor area of over 28,600 square meters, and the space in cubic meters is 65,535. Several entrances can be used. The largest is 2.80 meters high, with 6 meters in width. The exit leads to the Rabishko lake, about 40 meters deep. One of the halls in Magurata is where Bulgarian champagne is aged, in conditions identical to those for French champagne. Each bottle is filled manually. The aging is for 3 years, at 12 degrees.